Below are some of the shots from the 2016 year. 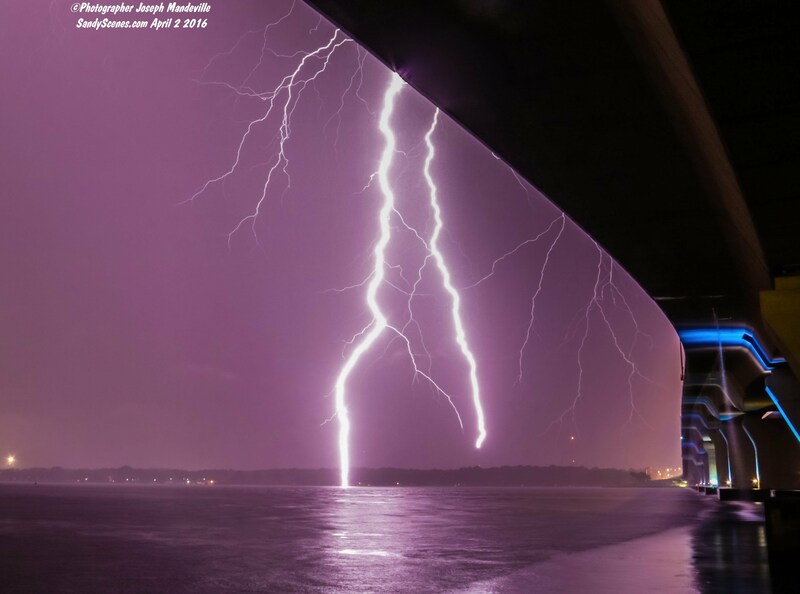 On April 2 2016 lightning struck the 2nd span of the Hathaway Bridge while I was under it set up and another bolt hit the local news stations WJHG/WECP broadcast tower knocking out a few stations! On August 7 2016 I was at the County Pier in Panama City Beach when I captured lightning hitting the Sterling Reef Condo! It was intense but under those conditions I was living life and doing what I love! 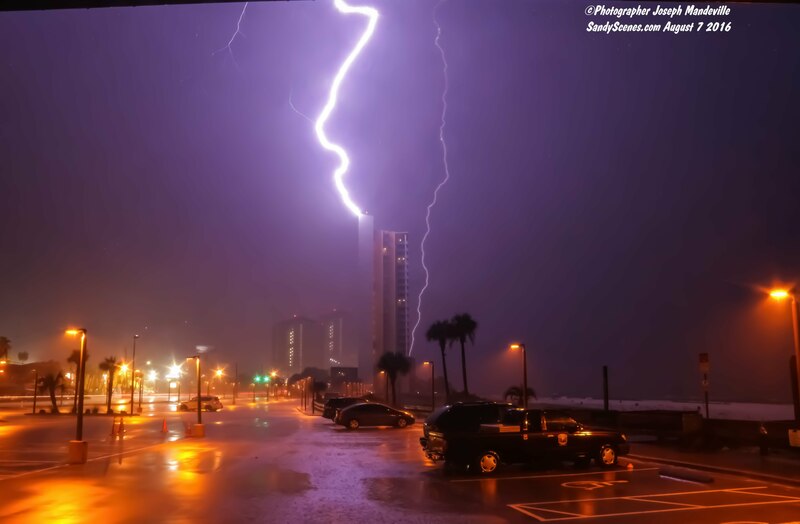 Lightning strikes the WJHG/WECP broadcast tower and another strikes St Andrews Bay. BOOK MARK THIS PAGE AND CHECK BACK EACH STORM. NEW SHOTS WILL BE POSTED HERE!